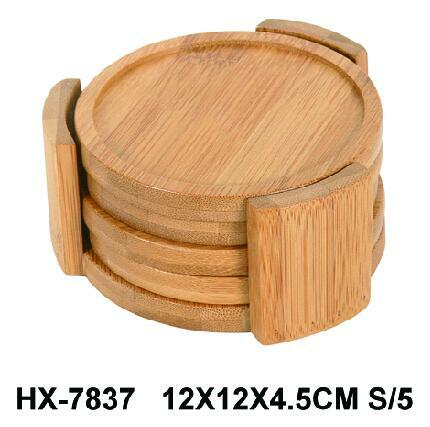 These beautiful 100% all natural bamboo coasters come as a set of 5 in a convenient bamboo holder. Each coaster is indented to hold the glass safely. Easy to wash with mild soap and water, these high quality coasters are made to last. Appearance: Natural color looks elegant with some fresh bamboo fragrance, bamboo product finish is carbonized without dyes and stain used. Maintance: Easy to clean, not easy to be worm-eaten, bamboo products are easy to care without crack and falling dregs, it can be used for a long time. Environment: Bamboo can automatically adjust the air humidity. Good for our body: Bamboo products can make eyes comfort, eliminate the noise, non-toxic for food and good for our body. 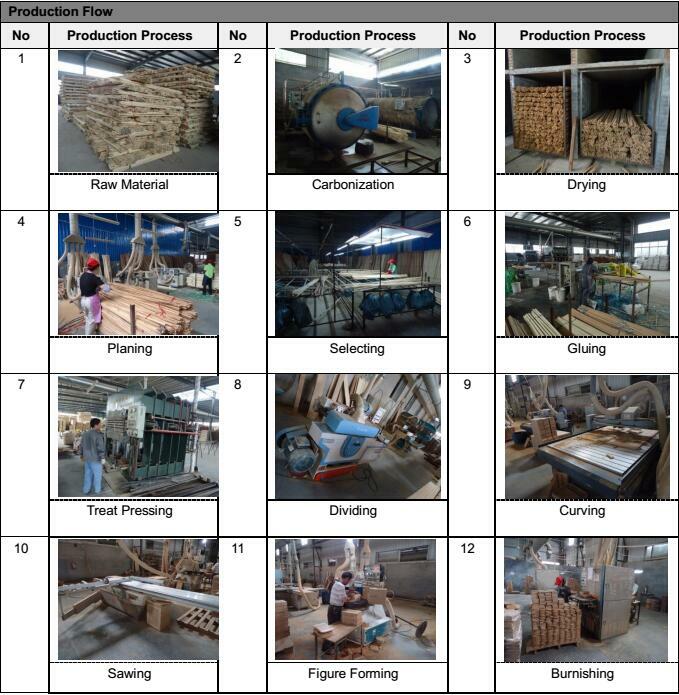 Environmental protection: Bamboo has strong regenerative capacity, low carbon and environmental protection. Fashionable: Bamboo is very trendy, many household items are made of bamboo. 1. 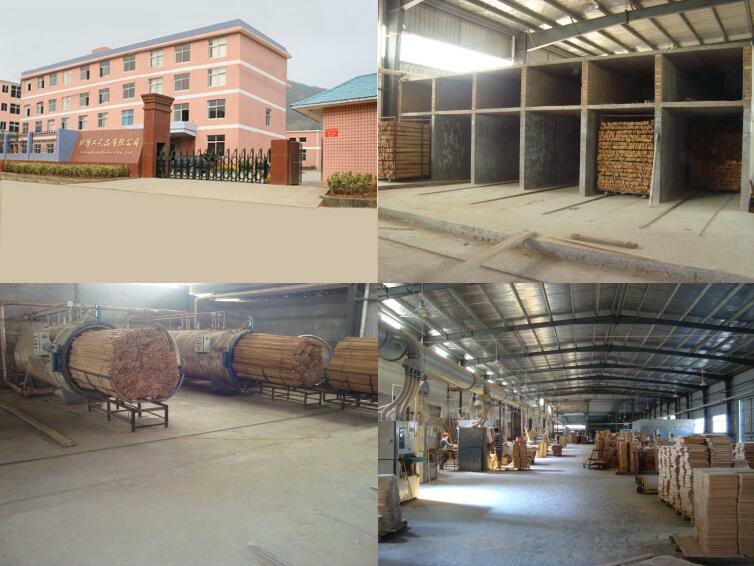 Our products are made of over 3 years old natural top grade bamboo, so the flexibility is very good and the product is not easy to crack or break. 2. The raw bamboo material are from our agreed bamboo planting base, which means the quality of bamboo source are well controlled. 3. 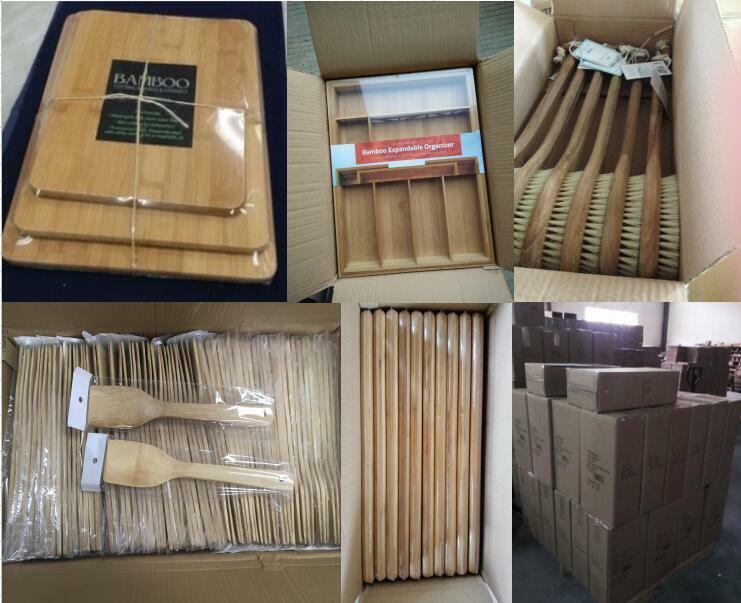 The glue we used for bamboo products are imported from abroad, which meet European standard and with low methyl alcohol. 4. Every procedure of the product is operated by skilled workers and checked by our QC at each end process. 5. It is with glossy finish and feels smoothly. 6. 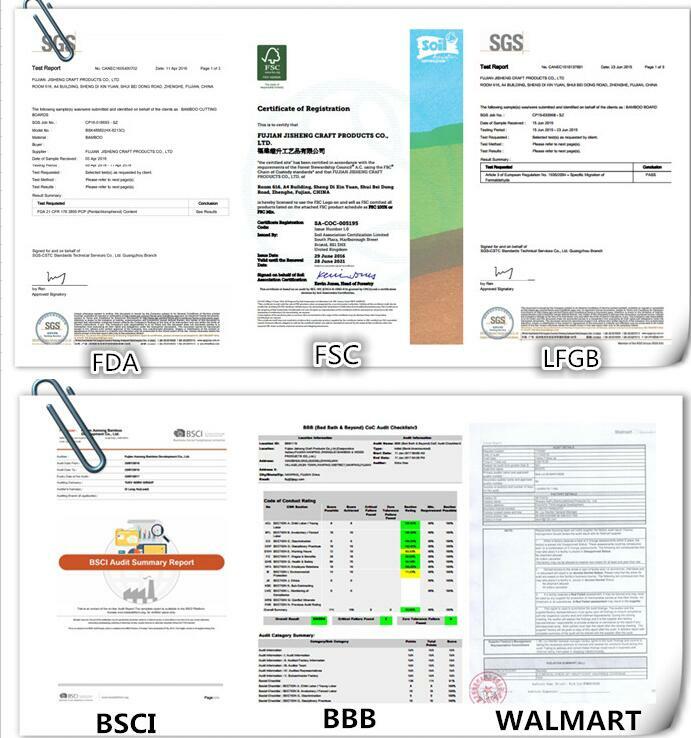 Our factory had passed the audit of social responsibility from many foreign audit firms. 7. We're a direct maker, so the price is competitive and quality & delivery are guaranteed. 8. We accept OEM and ODM orders, and we accept custom design. 10. We have full manufacture and export experience over 20 years, so we can provide good service for every customer. Our main products covering bamboo and wooden items, including kitchenware series, furniture series and bathroom accessory..., and we welcome custom designs. Copyright © 2019 FUJIAN JISHENG CRAFT PRODUCTS CO., LTD.Все права защищены.